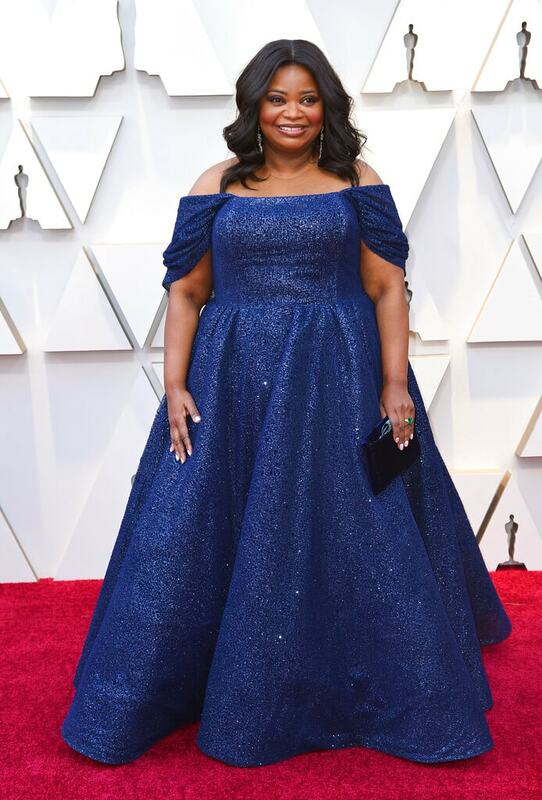 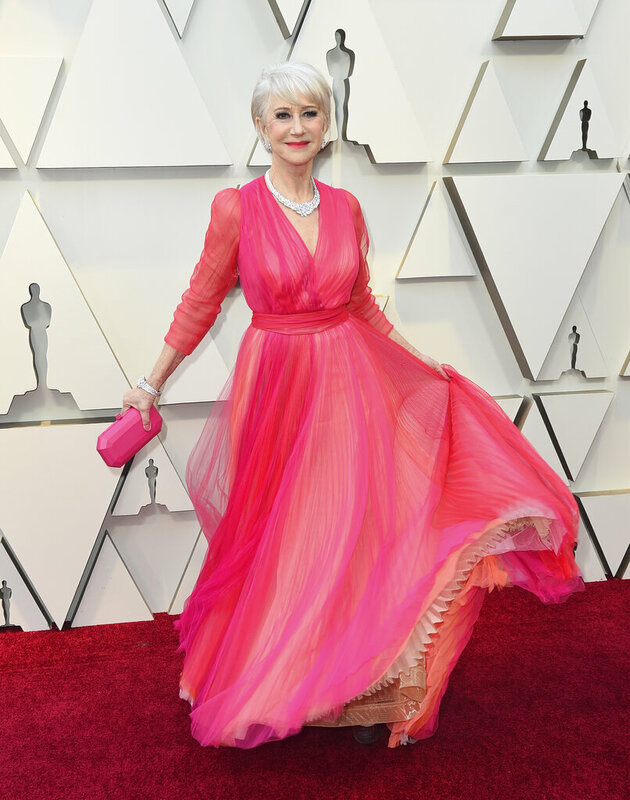 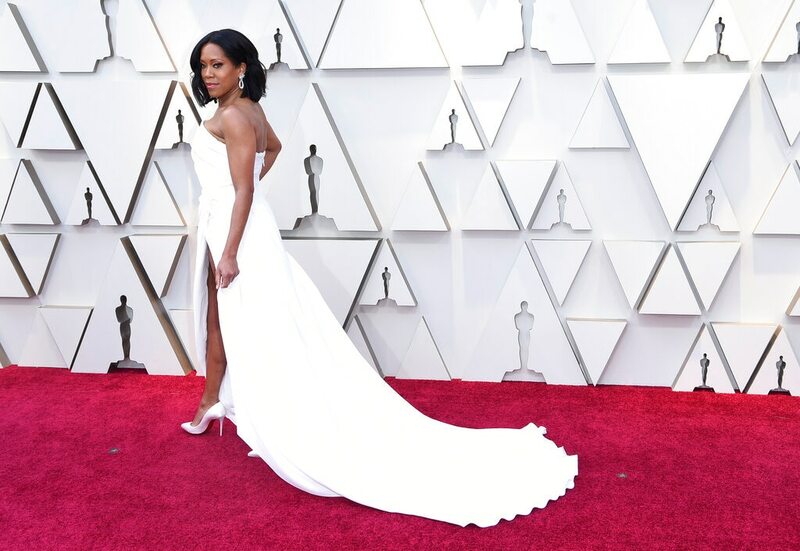 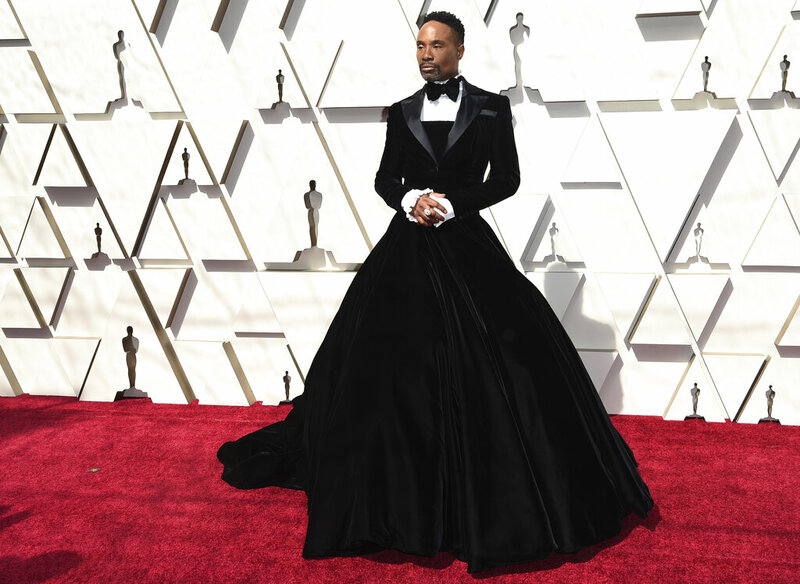 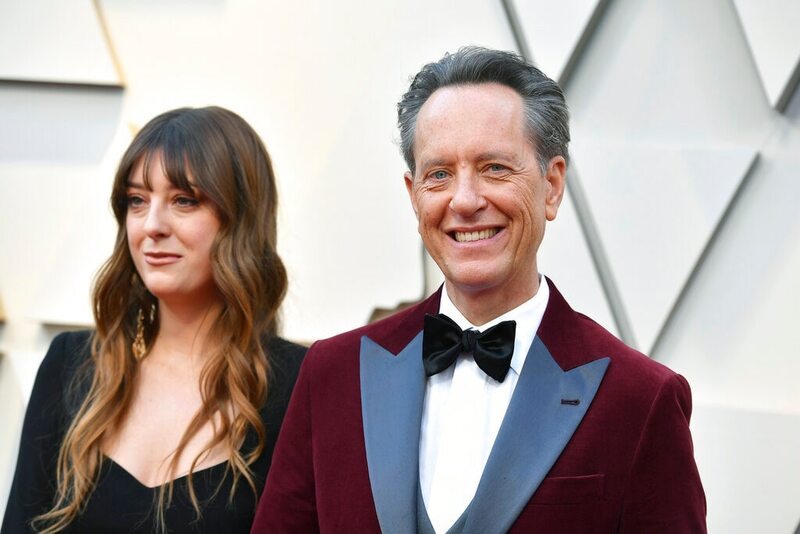 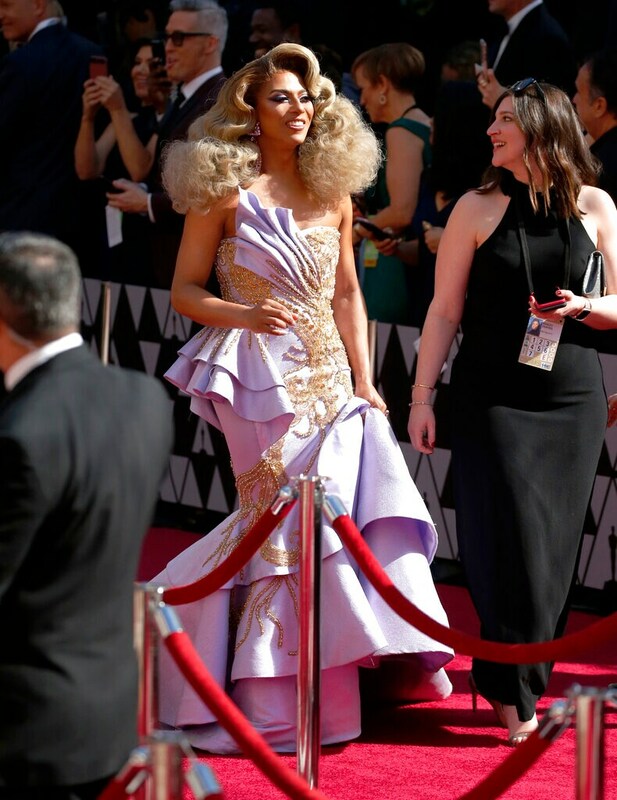 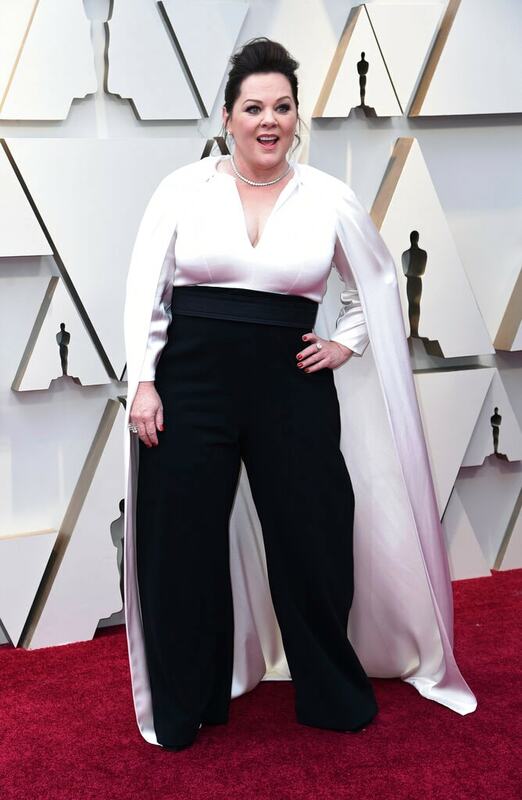 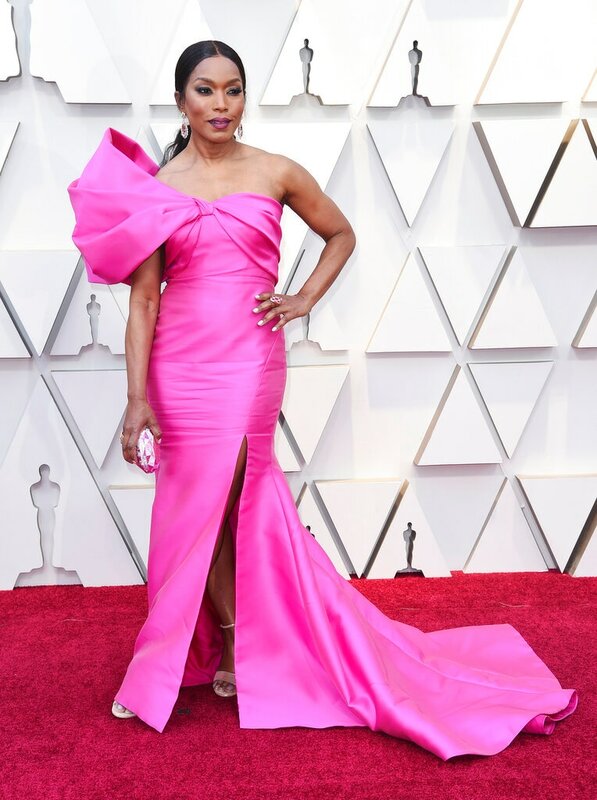 Regina King brought Old Hollywood alive on the Oscar red carpet Sunday in a romantic white gown with a touch of sparkle and a long train, Emilia Clarke in lavender looked every bit young ingenues. 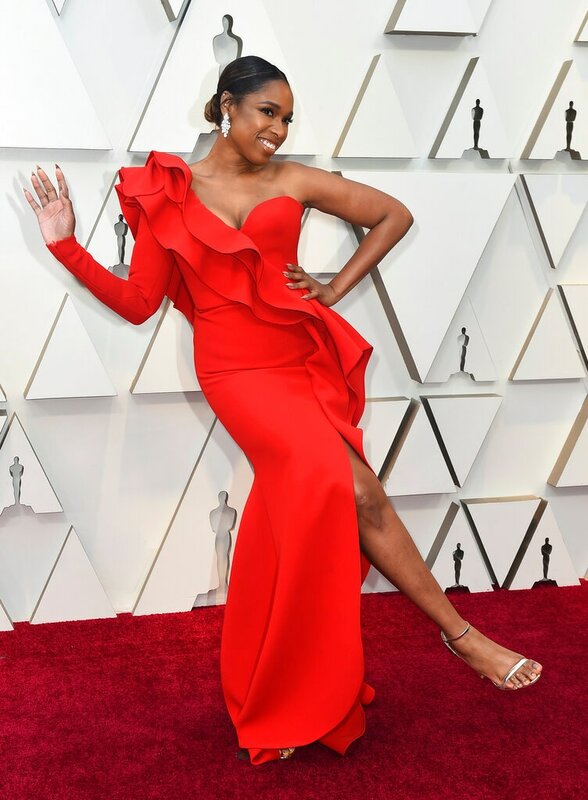 King, nominated for "If Beale Street Could Talk," paired her strapless ruched look with white gold and diamond bracelet and pear-shaped diamond drop earrings from Chopard. 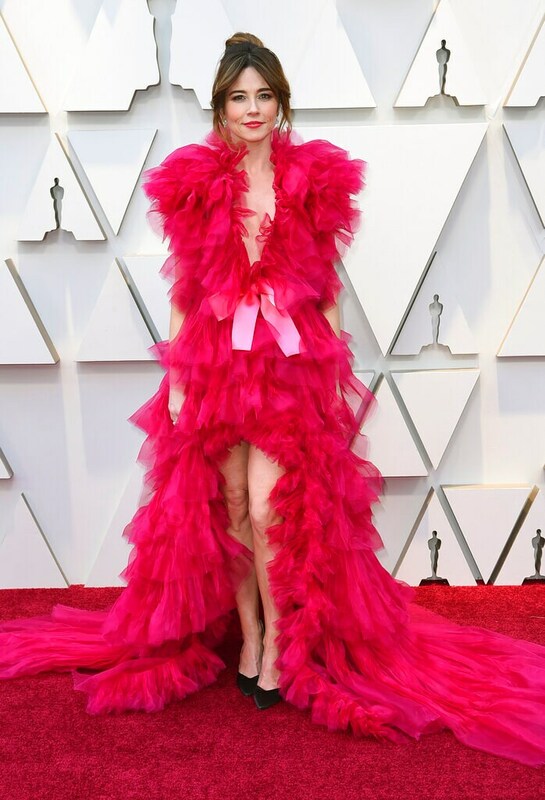 Lady Gaga went for strapless black with a major necklace showing off a huge yellow jewel, her platinum hair piled high and black opera gloves finishing the look. 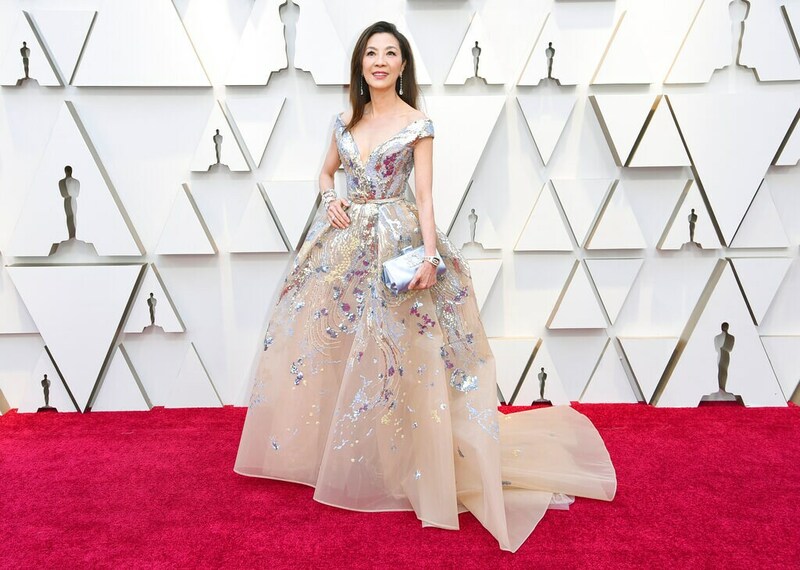 The necklace was by Tiffany & Co. and the gown by Alexander McQueen. 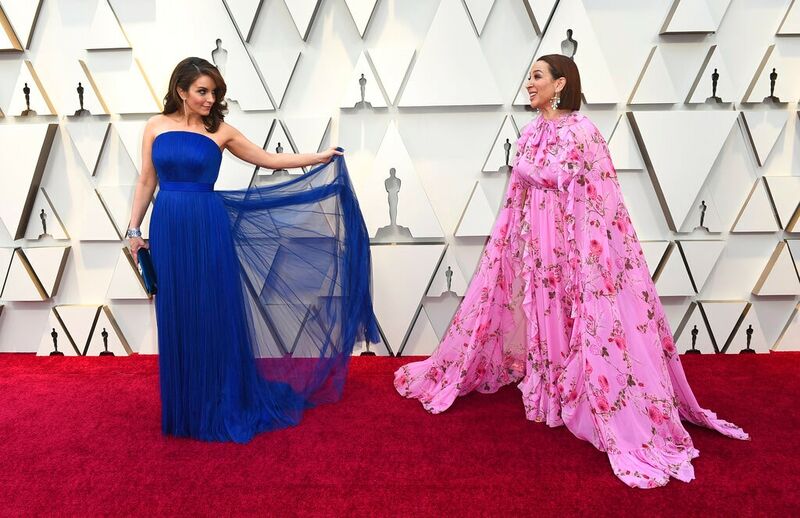 Speaking of fierce, Jennifer Lopez and Brie Larson were armoured in silver, both with high necks. 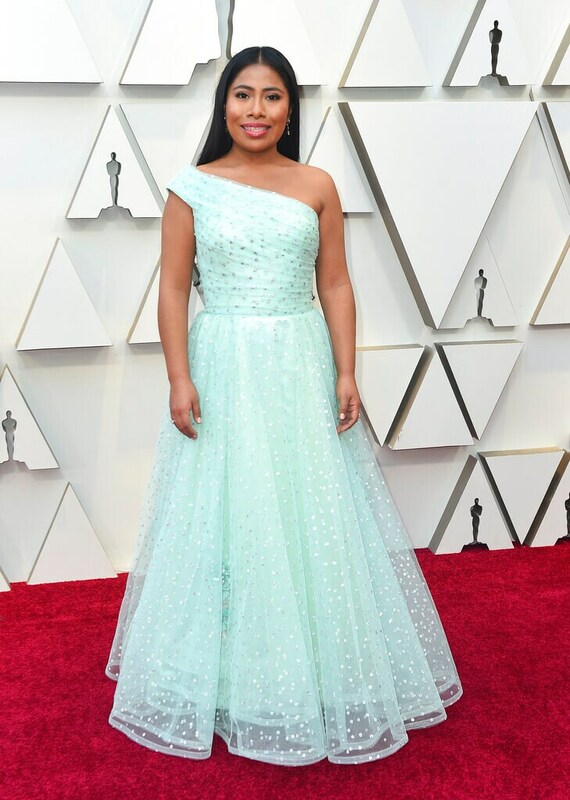 The Lopez wore had a chipped mirror embellished all over, while Larson's sparkler was sleeveless with a revealing side slit. 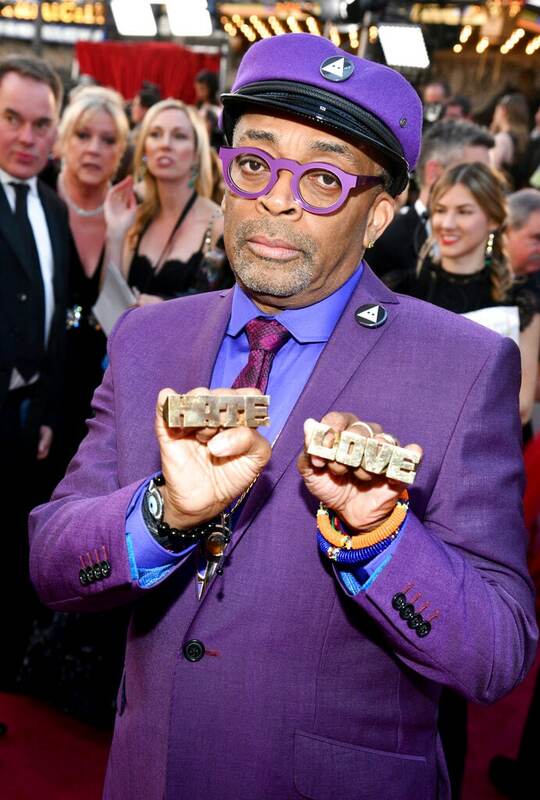 Spike Lee was a study in a hue of purple favoured by the late music icon Prince, one of his heroes, from his billed cap to his round glasses to his suit. 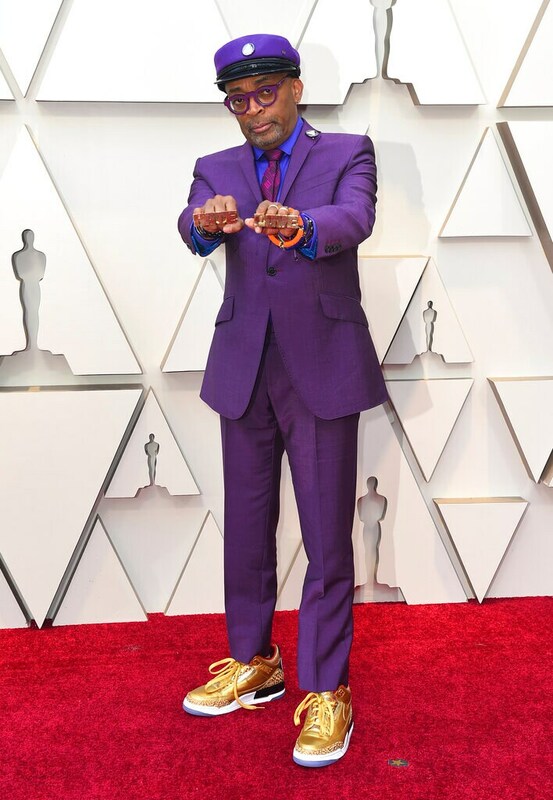 He was on Instagram over the weekend bubbling about the sneakers. 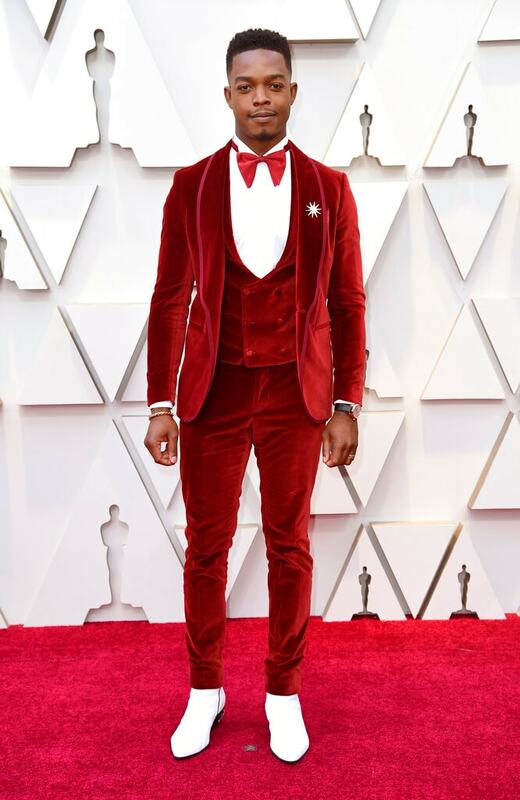 Foot flash has been a trademark as he made his way through the awards circuit for his "BlacKkKlansman." 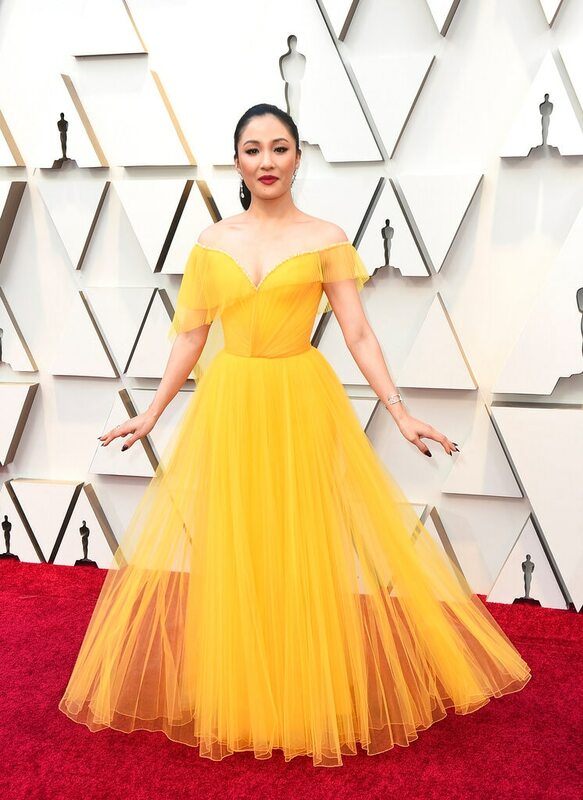 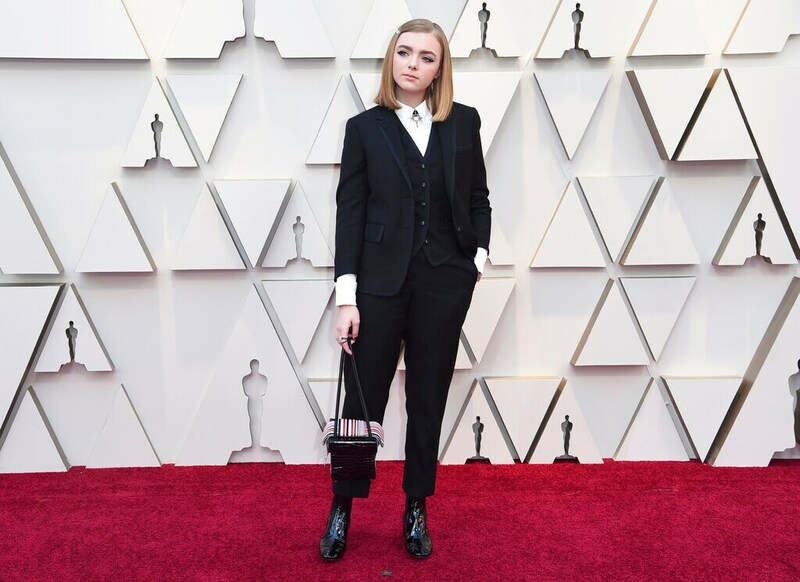 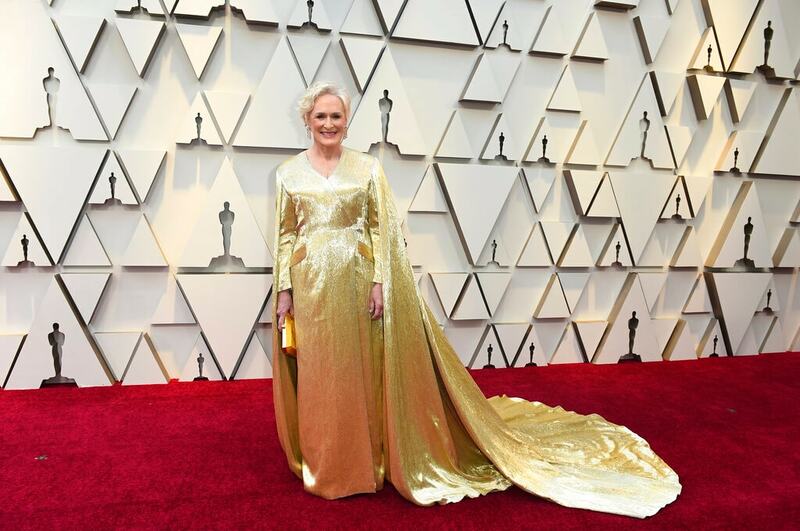 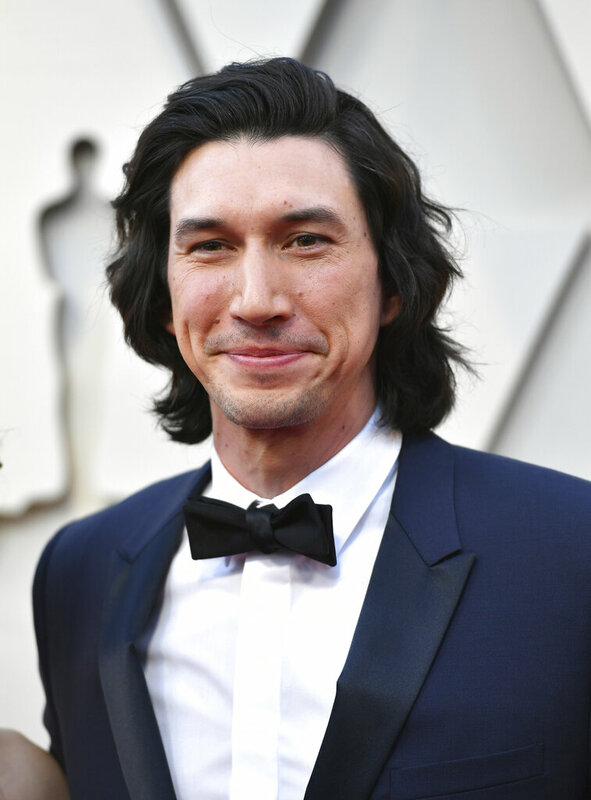 Take a look at the stunning images from the Oscar red carpet.